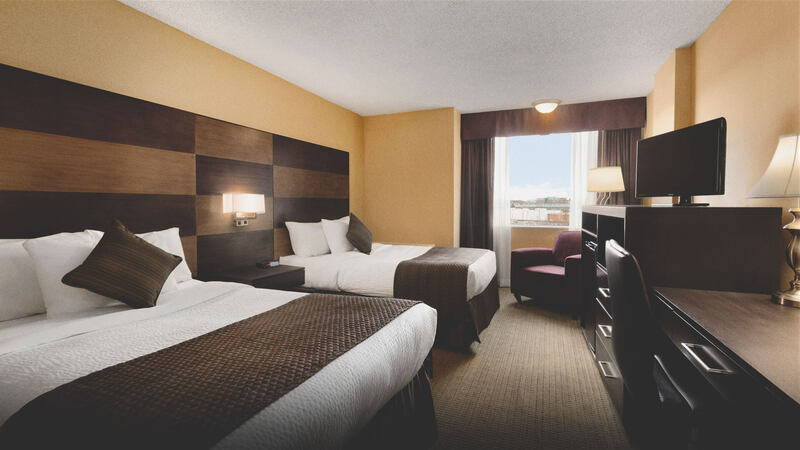 Our hotel is close to downtown Calgary, Calgary Stampede grounds and Repsol Sport Centre In the heart of Calgary and less than three kilometres from downtown, the Days Inn by Wyndham Calgary South hotel puts the excitement of our historic city at your fingertips. 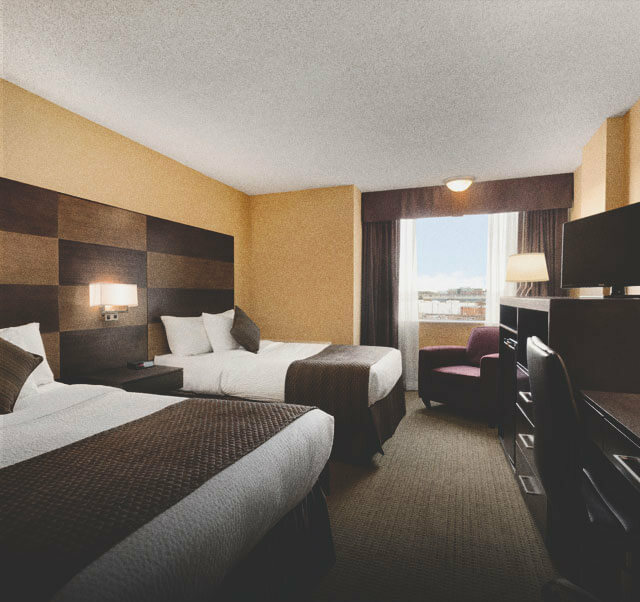 Our Calgary hotel offers non-smoking accommodations and 24-hour front desk to make your trip more comfortable. Start each morning with free Daybreak Breakfast and plan your day using free WiFi Internet. With 24-hour fitness centre, indoor pool and hot tub, it is easy to relax and enjoy your stay. Kids 17 and under stay free with an adult and we welcome your pets in specially designated pet-friendly rooms. Ask our friendly staff for details. Shopping is just five minutes away at CF Chinook Mall, featuring nearly 250 stores as well as movies at state-of-the-art Scotiabank Theatre. Sports fans can watch the Calgary Stampeders on the field at nearby McMahon Stadium or catch the Calgary Flames in action on the ice at Scotiabank Saddledome. Our Calgary hotel is convenient to the most famous event in the area, the Calgary Stampede Rodeo and Exhibition. For a day of family fun, visit the animal exhibits at the Calgary Zoo less than 10 minutes away. Dining Options Carliano Cucina, our on-site restaurant, serves up breakfast, lunch and dinner daily until 10 p.m. and also offers room service. If you are a fan of Asian flavours, Sushi Ichiban Japanese Restaurant and Seoul Korean BBQ are within walking distance. Get a true taste of Italy at nearby Calabro, or sample authentic Mexican offerings at Salt & Pepper Restaurante Mexican, less than one kilometre away. Business and Event Facilities Our hotel in Calgary offers a business centre with free Internet access as well as copy and fax services. We also provide six meeting rooms and one ballroom for business and social functions. In the heart of Calgary and less than three kilometres from downtown, the Days Inn by Wyndham Calgary South hotel puts the excitement of our historic city at your fingertips. Our hotel offers non-smoking accommodations and a 24-hour front desk to make your trip more comfortable. Start each morning with free Daybreak Breakfast and plan your day using free WiFi Internet then finish the day off with Carliano Cucina, our on-site restaurant who serves up lunch and dinner daily until 10 p.m.
Everything you need — a spacious pool, 24-hour fitness centre, meeting rooms, soothing whirlpool, and cozy guest rooms — just south of downtown Calgary. Kids 17 and under stay free with an adult, and we welcome your pets in specially designated pet-friendly rooms.